​Sunday school is currently offered for Nursery through High school. ​Children are invited to take part in the adult worship and then are excused to Children's Church after worship time. Children's Church is open for Nursery through grade 5. Girls Ministries church-based discipleship ministry has a legacy of godly women coming alongside girls guiding them on a path to becoming mature and godly women. Girls Ministries clubs use weekly meetings, projects, adventures, and annual outings as opportunities to know and understand each girl, her story, connecting her with the Creator and His plan for her life. 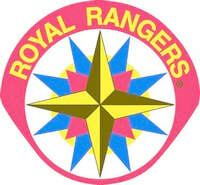 ​Royal Rangers is a church-based mentoring ministry for future men. Since its inception in 1962, millions of boys in the United States and around the world have been guided through the ministry. Today, they are successful businessmen, public servants, pastors, church leaders and missionaries. ​In Royal Rangers, boys and young men are challenged to embark on an adventure that requires them to participate actively. It is a spiritual journey that will forge their character and maximize their leadership potential. To the uneducated eye, boys are just learning survival skills in the wilderness, playing sports, producing a music video, repairing the home of an elderly person, etc., but in the process, our mentors are intentional about laying biblical foundations. National Royal Rangers logos, product images, and service names are trademarked by the General Council of the Assemblies of God. Use of these images and trademarks without written authorization is forbidden and is a violation of federal and international laws. BGMC is the Assemblies of God missions program for kids that instills a heart of compassion to reach those who have never heard of the love of Jesus through praying, giving, and going. ​ All funds raised through BGMC go to meet critical needs around the world such as food programs, water wells, Bible schools, curriculum, and other missionary needs. Children are encouraged to save their change all month in their Buddy Barrels and bring them on the last Sunday of the month. At the beginning of our Sunday morning service, kids bring and empty their Buddy Barrels and learn about how the monies they bring help missionaries all over the world! Each week they hear and see a missionary story of someone in a foreign country. They learn about the country as well as watching an exciting story of a missionary adventure.